Mark Goblowsky has an amazing story to tell, and he knows how to tell it. Hearing it will change you… for the better! That was the best TED Talk that I’ve ever heard! And it wasn’t even on a TED Talk stage. Mark’s story challenged me to both remember what I value most and in remembering, to prioritize accordingly. Schedule Mark for your next speaking event! If you’re looking for a speaker for your upcoming corporate, community, church or school event, Mark Goblowsky can share the message you need to make a difference. He does so skillfully and intentionally, with a specific emphasis on providing the information your team needs with powerful insight, compassion and understanding. 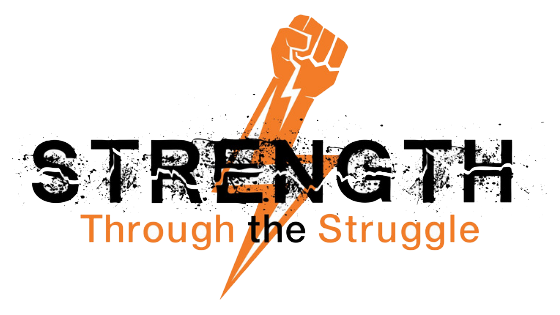 Sign up to be notified about upcoming episodes & events for Strength Through the Struggle. Learn where Mark’s been, and where he’s going, and inquire about booking.